Temporary wallpaper is a great way to add depth and character to your home. 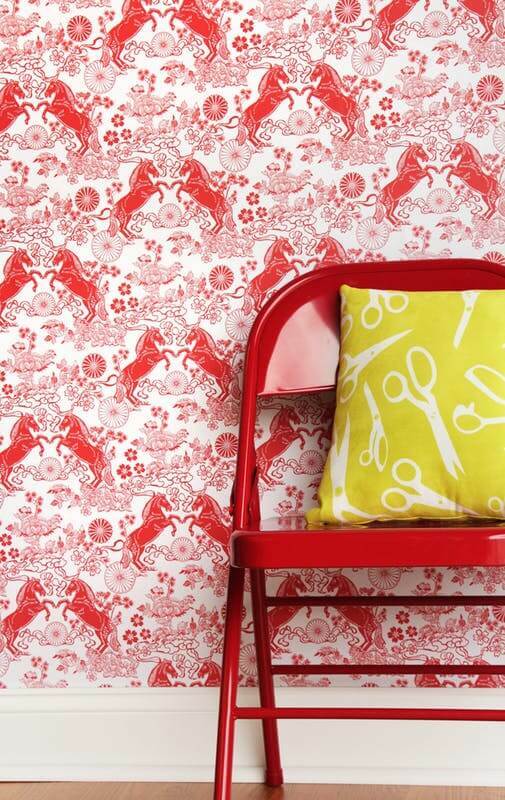 Here are a list of 14 online companies you can buy temporary wallpaper from! Temporary wallpaper is here, my friends. And oh, isn’t it a wonderful thing?! 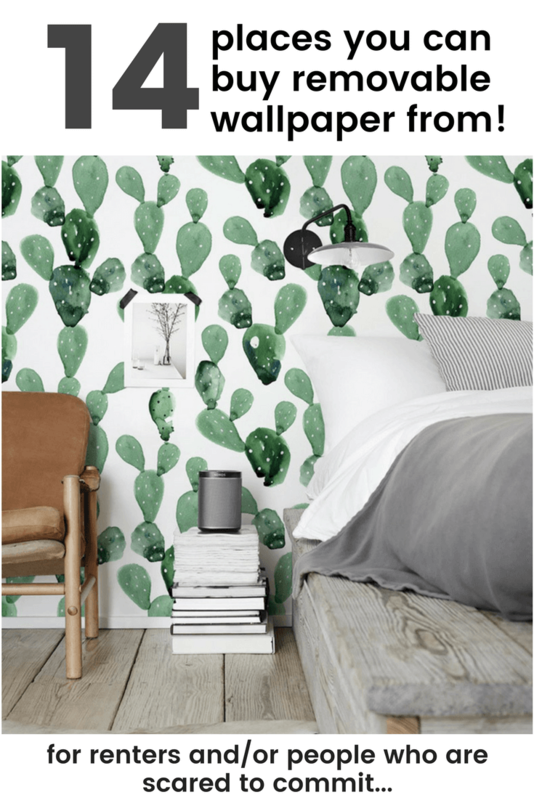 Also known as peel and stick wallpaper (or removable wallpaper), temporary wallpaper utilises a special kind of adhesive that makes it super easy to remove from your walls whenever you’re done with it. And get this, temporary wallpaper can actually be used on places other than walls! God where is that heart emoji when you need it?? 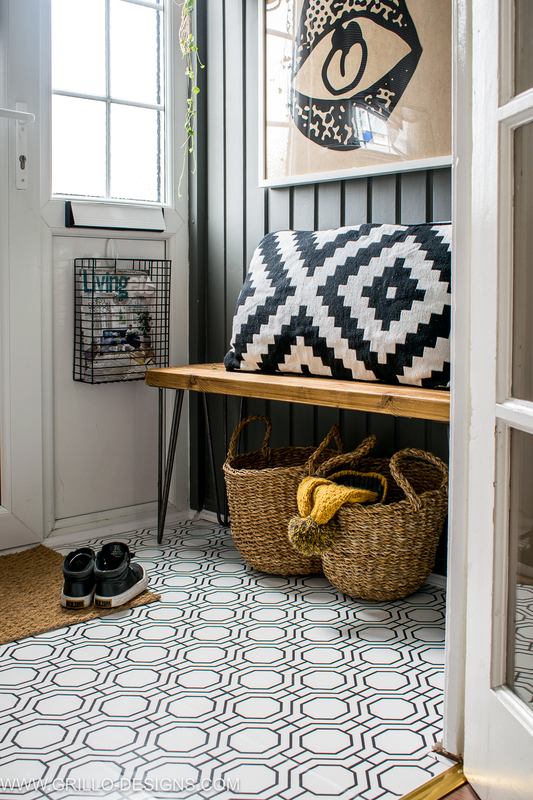 This is the exact company I used for my entryway floor makeover! I just loved working with them to create this tile effect design (I still get so many people asking about it). 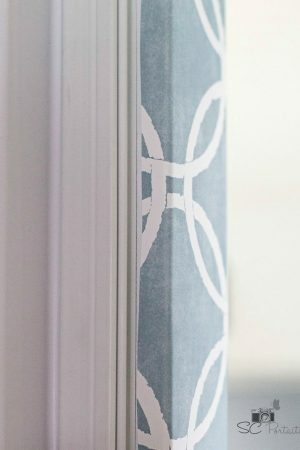 You can find their gorgeous temporary wallpaper options under the contact paper section of their website! DesignYourWall currently ships to the US, Europe, and more countries. Whatever your decor style is, I’m sure there are many designs that will be right up your alley in this store! They offer hundreds of whimsical, rustic, and modern prints all in one place, along with a nice selection of beautiful wall decals! Walls Need Love currently ships worldwide. 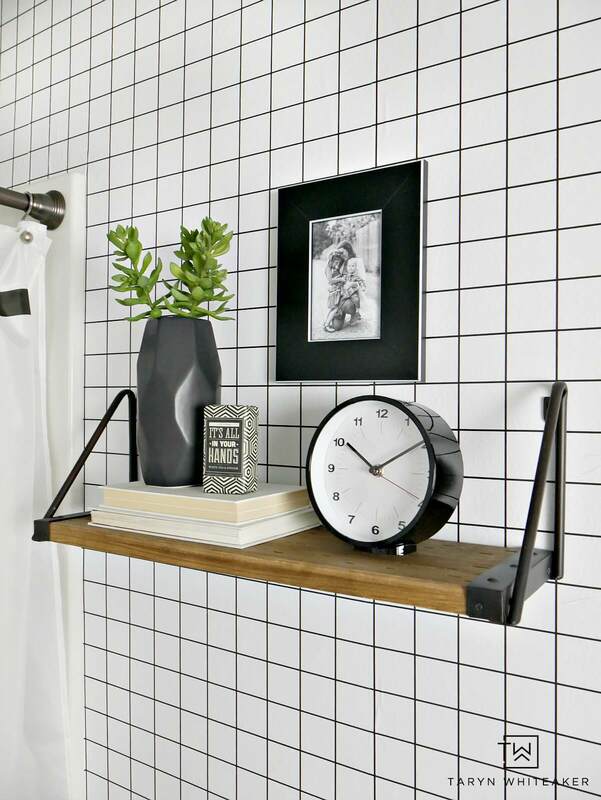 UK based store: Their speciality is a brand of removable Wallpaper called Nu! They haven’t got a large selection to choose from at present, but I’m sure that will soon change! One to watch! I can’t get enough of the beautiful botanical and geometric wallpaper prints in Coloray’s Poland based Etsy store! They come in a variety of colour schemes, one of which is bound to look beautiful in your home! Coloray Decor currently ships worldwide from their Etsy store. Out of the few hundred prints available in Chasing Paper’s online store, I can spot so many that would be perfect in a nursery or child’s room! This is on top of all the gorgeous patterns that would make for an amazing accent wall in a living room, kitchen, or master bedroom! I don’t know about you, but I’m drooling over here just looking at these stylish artistic and hand-drawn patterns available at The Lovely Wall! I can’t even pick a favourite! The Lovely Wall currently ships worldwide from their Etsy store. strong>Spoonflower currently ships to the US, Europe, and more countries. Farmhouse decor fans, you will love all the shiplap prints available at Wayfair! Although I have to admit there are so many other prints in their store that have caught my eye as well. They are all gorgeous! Wayfair currently ships to UK, US and Canada. 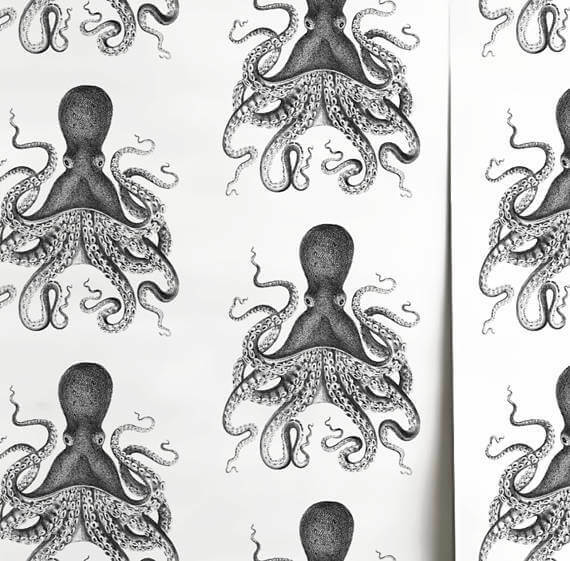 Isn’t this octopus print by Wallpaperie so cute? Be sure to spend a few minutes browsing the inventory in their Etsy store, because there are plenty more quirky and classic prints where this came from! Wallpaperie currently ships to the US, UK, Canada, and a few more countries. Not only does Murals Your Way have a wonderful selection of colorful and fun patterns in their store, but they also offer a service where you can get any print customized to your preference and the exact size of your wall! Murals Your Way currently ships orders worldwide. 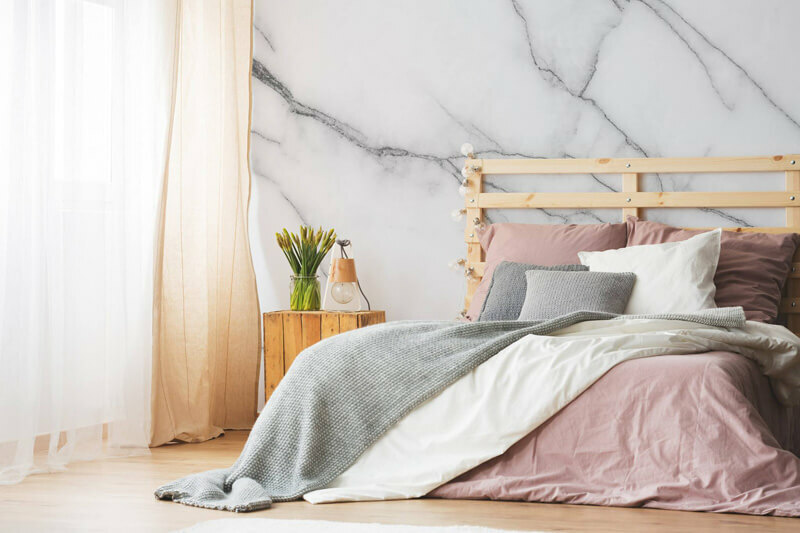 Just in case you are nervous about using temporary wallpaper, wall decals can be a wonderful alternative that have the same effect! And there are some absolutely gorgeous designs in this shop by Inkmill Vinyl! Inkmill Vinyl currently ships to the UK, and international shipping information is available upon request. I am loving the floral and watercolor designs in this shop by Rocky Mountain Decals! Also, be sure to check out their wall decals as they have some amazing options in that part of their shop as well! Rocky Mountain Decals currently ships worldwide. The modern artistic prints in this Etsy shop are stunning! And I think they would especially look wonderful with a midcentury modern room design. Street Workshop currently ships worldwide from their Etsy shop. Now this company is a new discovery! They actually reached out to me when I shared my intentions to create this post on instagram. I’m so glad they did because their products are a renters dream! They sell a range of removable stickers for your walls, tiles, floors, stairs etc! I know where I’ll be going when its time to revamp the kitchen! **Thanks to all the companies that gave permission to use their photos. Which room in your home would you buy temporary wallpaper for? Yay glad this post helped you! I’ve been looking EVERYWHERE for temporary wallpaper and haven’t been able to find any I love- but now I have this fantastic list of new places to check out! 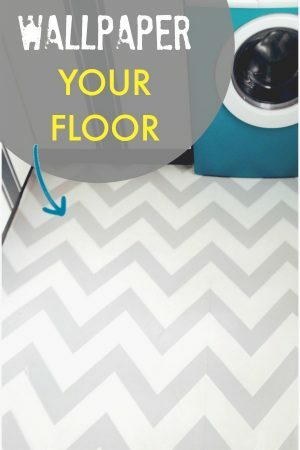 This is so, so helpful- I can’t wait to start shopping for my living room! I wish we had smooth walls I’d love a few of these options. Thanks for sharing at the inspiration spotlight party. Pinned & sharing. My wife bought some temporary wall paper from Simple Shapes for our water closet. Turned out really nice, very easy to install and move if needed. However, a plumber came and did some work in there and it’s so small that he had to use his foot to get leverage and scuffed up the wall. 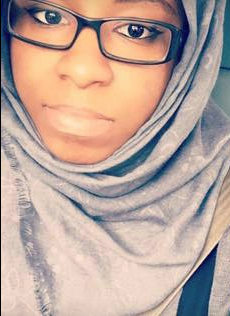 She used a wet rag with water only to try to remove the scuff….the print came right off the way. The company said it’s not made to get wet or be installed in wet places. So I guess it’s made to be installed in a place where one would never wash their walls….which is where? Point is, if you decide to buy some temporary wallpaper, test a corner to see if it can hold up to life before you spend the money and time to install. There’s also WeMontage who makes the most beautiful photo wallpaper! I’ve purchased from them several times. Ohh nice Ill check them out! 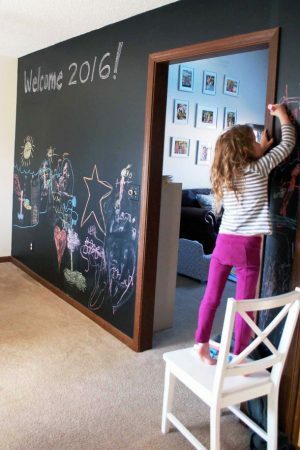 Such a great resource for finding removable wallpaper. So many great choices out there. These are awesome choices. It really needs a heart emoji. These are amazing choices for so many reasons. I love the idea of temporary wallpaper. Hi! Visiting from the This is How We Roll linkup! Loved all of these wallpaper ideas, so creative! I am so happy to see so many options for temporary wallpaper. That cactus one is so fresh and lovely! Wow I’ve known about removable wallpaper for a while now but I didn’t realise that the selection and the applications were so varied. I seriously need to investigate the offering of these companies more. Thanks for the inspiration. 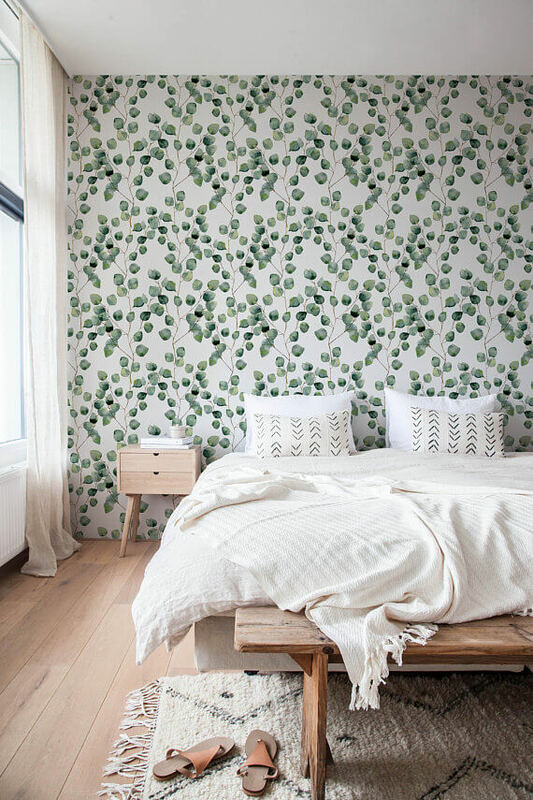 Temporary wallpaper is such a great idea and you have found lovely examples. This is perfect for me seeing as I change my mind so often! 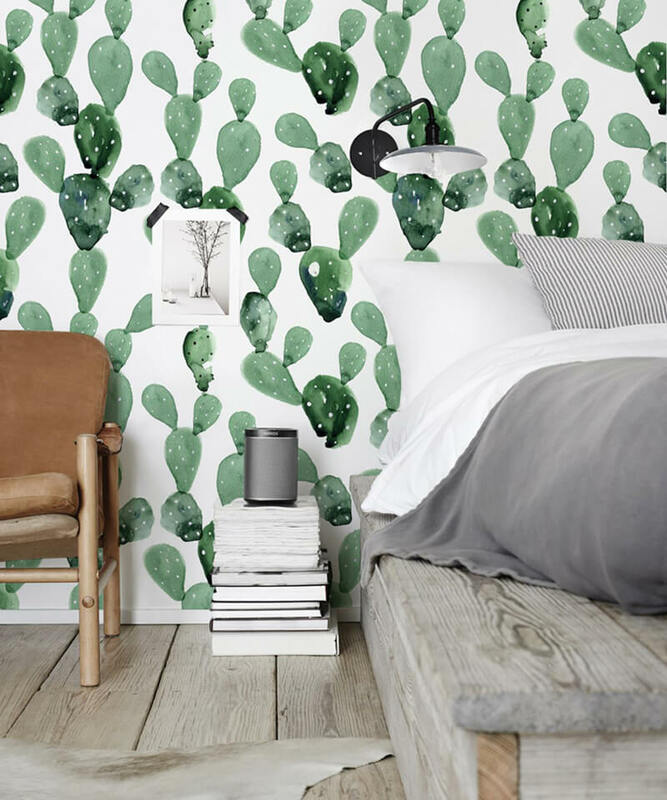 Plus that cactus wallpaper 😍 I need it! 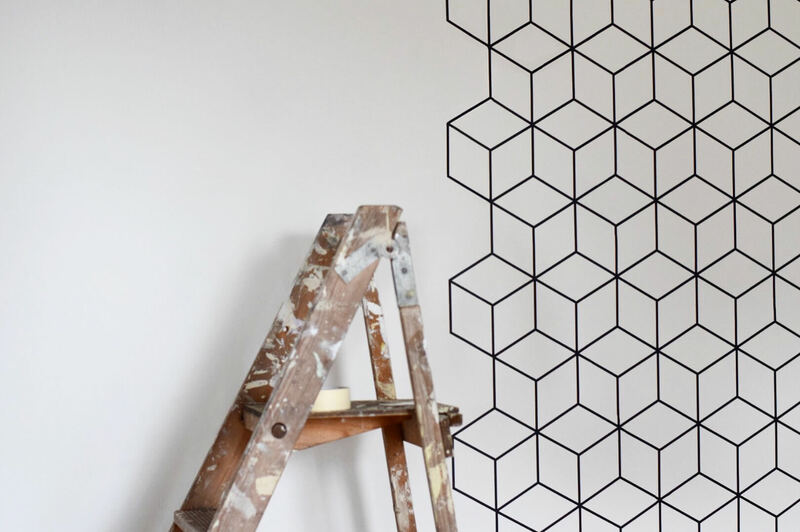 I have to say I’d never really come across temporary wallpaper before, but what a great idea! Particularly good for those who rent, and those like me who are always changing their minds! I would have simply gone to ETSY but I can see now there are so many sources for beautifully designed removable wallpaper! Thanks for sharing these! I love that cactus print, and the other leaf print too. Gorgeous, I would love to put these in our house, I hate stripping wallpaper so they really appeal. Plus the geometric shapes from Inkmill are gorgeous too.